E12 Candelabra base 10W RGB color changing & pure true daylight white light effect, Not mix-white by RGB chip. Unusual bulb with novel shape & small base. Provides various colors and light modes for your choice: fast color changing, slow speed color changing, on and off, brightness level adjustable. Custom timing setting function: Auto-On/off as customer setting in 1-24 hours choice. 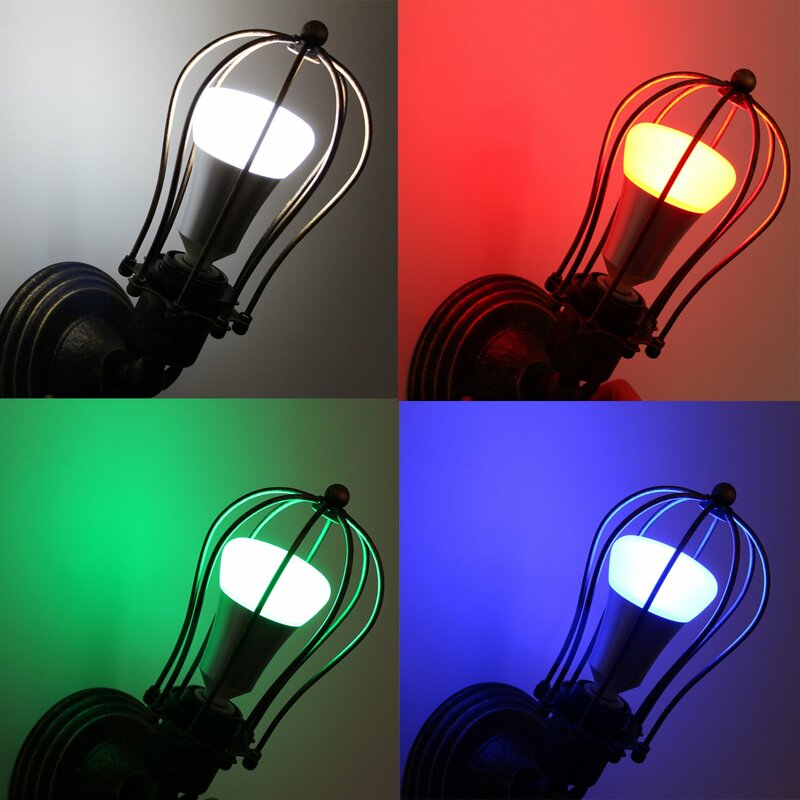 Wall switch control: When you turn off the power switch and then turn on the bulb repeatedly, the light color will change: red > green > blue > bright white > soft nightlight white > color changing. With cycle memory function. It will remember your last setting without cutting off the power. Also available for sale on Amazon in US (Buy on Amazon.com) & in Canada (Buy on Amazon.ca) for Amazon Prime members. Please do not install the bulb with dimmer switch, it can only be controlled by the included remote controller. The bulb itself is not dimmable, there is the problem of flicker or power reduction if the bulbs are installed with dimmer switch. 3. OK, Timing setting successfully. If you press any other buttons at any time, the timer function will be cancelled.